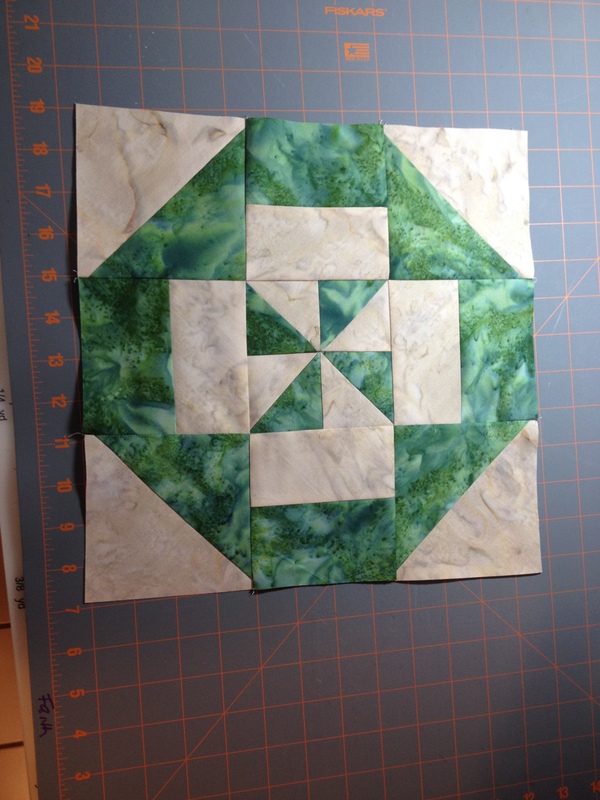 Once again this year I am participating in a Block Swap with the Cobbled Court Quilt Circle. 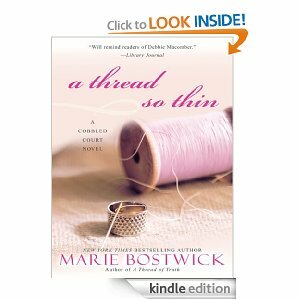 The original reason for this group is to discuss Marie Bostwick’s wonderful books – “A Thread so Thin”, “Ties that Bind”, “A Thread of Truth”. Do you sense a theme? All of the books are related to and revolve around the story of the life of a group of Quilters. I must tell you that some of my best friends are quilters. I have flesh and blood friends who I gather with, to work on quilts, share our lives both the good and the bad and make quilts for charity. I also have my cyber-friends. I have never met them in person – hopefully that will change in October 2014 when I attend a quilt retreat, but we work on projects, encourage each other and all read Marie’s books. We will be doing a block exchange again this year. 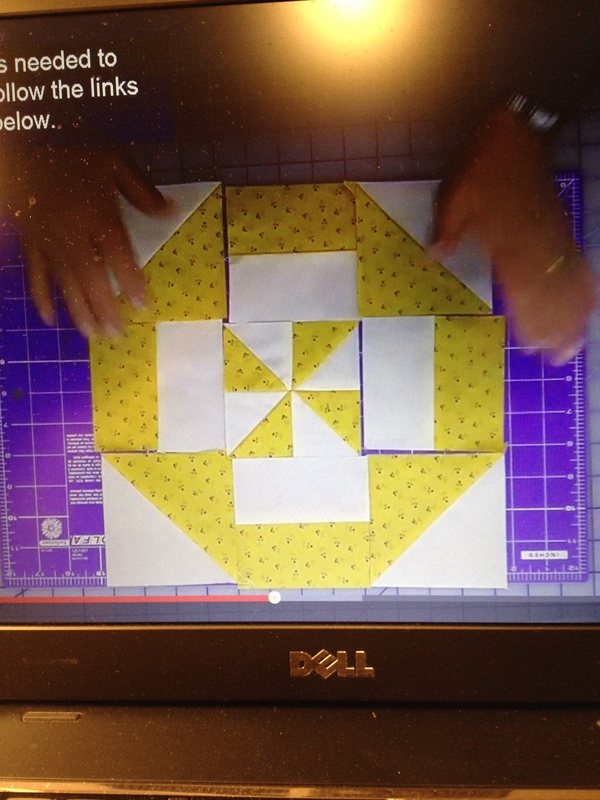 One of the members of the group has chosen a block and directed us to a you tube video https://www.youtube.com/watch?v=9rgQd6asPQs that gives the directions and a detailed look at how to assemble the block. I decided to use the block in a wedding quilt that I need to make for a family member. So as I watched the video I snapped a picture of the completed block with my cellphone. I need a visual when I am assembling blocks. I need to make sure that I have everything in the correct place. Of course sometimes even with the picture I mess things up but the chances are slighter when I have a picture in front of me. So I blissfully stitched along last night – I posted the picture below to show my cyber-friends my progress. So when you look at the two pictures they are the same. 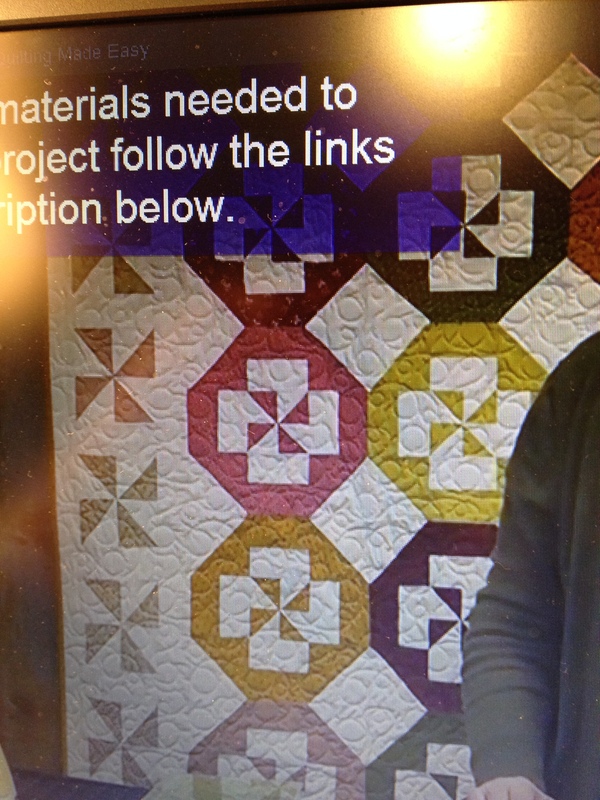 However, when you look at the completed quilt in this picture you can see that the pinwheels are spinning a bit differently. So what is the solution? Well, here is the immediate solution for me… I will continue to make the blocks the way that I have been because I am not going to rip out 4 blocks that look fine to me, and I will run out of fabric if I scrap them. So if you look at the picture of the individual block (and my block) the pinwheel is made one way and the pinwheel in the completed quilt is made another way. Oh the conundrum!! So we – we being the Cobbled Court Quilters will have to be advised as to which way the pinwheels are to be done. I will continue to make my blocks the way that I have made the first 4 blocks. I will post a picture when the top is completed. I need either 30 or 36 blocks to have enough for a queen size quilt, I have a wonderful idea for a border but I will need to either search my stash or go shopping for part of the border. Either one of those choices is fun!